This wall tapestry "Circa 1928" shows a geometric design in beige and blues. Full of delicate motifs, this piece is a decorative geometric art form. There are 2 rosette types, based on floral and architectural motifs, tessellated to create a piece which adds elegance and beauty to any room or setting. The color palette is coherent and gentle. 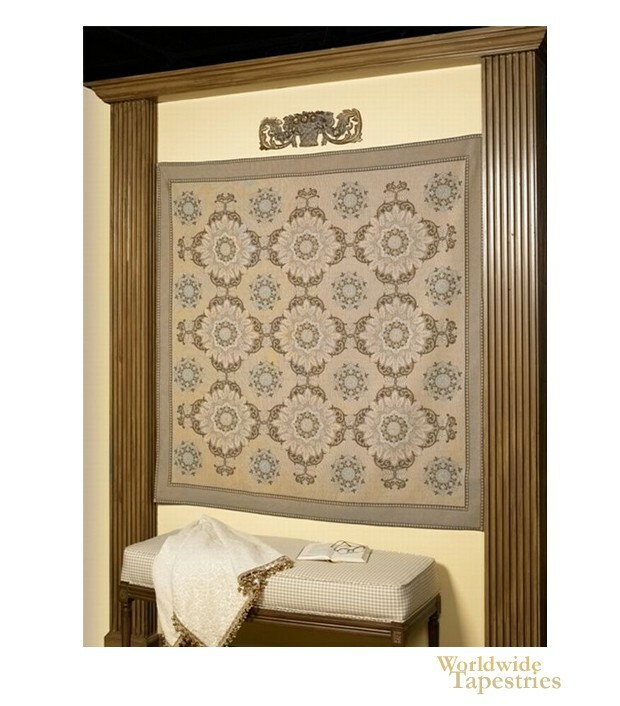 This art tapestry "Circa 1928" is backed with a lining and has a rod pocket for easy hanging. Note: tapestry rod, tassels, and accessories, are not included in the price. Dimensions: W 59" x H 59"